In fact, innovation ranked as the highest concern amongst global CEOs, according to a recent PriceWaterhouseCoopers Global CEO survey. Most notable is the investment required to innovate – one form of which is the collaboration of technology with talent. For those in the automotive world, disruptive technology of various type and magnitude have immediate influence on the robust processes already in place. This may serve as sufficient proof of innovation and demonstrate continuous improvement to the customer, while maintaining or improving profit margins. Here are several reasons why manufacturing organizations should look into AR technology as a way to drive innovation, increase productivity and generate results. Unlike most other industries, being on the “Top Focus List” within the automotive world is generally not a good thing. In fact, it’s typically a compilation of events — out-of-spec parts, improper assembly, missing features or inconsistent results — that gets a supplier onto the “Top Focus List.” Appearance on the list is then followed by some sort of comprehensive escalation process. With increasing emphasis on quality and “First Time through Capability” (FTC) or “First Time through Right” (FTR), automotive suppliers must invest in robust manufacturing 4.0 technologies that are primed for a sufficient ROI within a very short time period. How short? In the aforementioned PWC survey, most top executives expected industry 4.0 investment to provide a return within two to five years. Augmented reality (AR) tools, such as Light Guide Systems, are one form of manufacturing 4.0 technology that drive innovation on the factory floor and provide an early ROI payoff. This connected technology blends advanced enterprise software, training and human performance into one robust collaboration tool. Disruptive in nature, but easy-to-implement, this technology places digitally projected work instructions (static or dynamic) directly onto a part or surface. This allows an operator to see the right information at the right time, all while receiving real-time error proofing guidance that accelerates consistency and leads to greater proficiency. Placing your best foot forward, AR technology captures the low-hanging fruit for many automotive suppliers looking for rapid implementation of innovative, advanced collaboration and productivity tools. Recently, an automotive manufacturer committed to implementing augmented reality throughout their entire plant ecosystem, based on a pilot operation that resulted in a nearly 50% improvement in FTC. Such implementation provided proof-positive, real-world results that AR has a place on the smart factory floor, and makes sense both as an innovative application of disruptive technology, and as an economic driver that brought about near-instant process improvements. Filling the manufacturing skills gap funnel is a daunting task. In fact, 82% of today’s manufacturers report a moderate or severe shortage of skilled workers. It is projected that by 2025, the manufacturing skills gap will account for more than 2 million unfulfilled jobs. Enterprise AR solutions provide the catalyst for bridging this skills gap. The technology incorporates consistent operator guidance, and takes workers through a sequence of steps, complete with real-time performance feedback to dynamically and instantaneously correct mistakes. At a smart factory, everything is measured – or at least captured – in the big data cloud. The critical data gleaned from AR tools can provide important analytics that allow managers to make more informed decisions designed to elevate continuous efficiency and process improvements, and enhance the performance of cross-functional team members. We are 24 months into the fourth industrial revolution. Based on systems designed to connect the physical and digital worlds of production, manufacturing 4.0 and digital operations aim to advance digitization and better integrate manufacturing value chains, products and services. Where is your business unit on the manufacturing 4.0 evolution? Are you planning on incorporating enterprise augmented reality into your annual budget plans? Send us a message. We would love to speak with you to discuss the challenges you’re facing, and talk through various AR applications that could drastically improve your operations. Mike Koper is the Senior Director of AR sales at OPS Solutions. 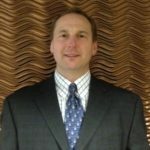 With more than 20 years of experience managing advanced manufacturing teams, Mike specializes in providing customized innovative strategies through technology to help companies better connect their people, processes and physical assets. In addition to his academic credentials, he holds certifications as a Manufacturing Engineer, Professional Engineering Manager, and Certified Maintenance and Reliability Professional. He is also a senior member of the Society of Manufacturing Engineers and the Society of Maintenance and Reliability Professionals.